I live in an area called the Back Mountain. It is upland and northwest of a large and populated valley. The Back Mountain comprises over 100 square miles and is home to approximately 27,000 humans. It is a verdant and pastoral quilt of relatively thriving communities and two college-sized universities. There are cows, sheep, and horses in the fields. Bear, deer, coyote, and fox roam the forests. The eagle and hawk patrol the skies. There are two large reservoirs; myriad ponds, lakes, streams, and creeks – all draining into the Susquehanna River, which drains into the Chesapeake Bay. Each foot of the way was once Paradise. Recently, EnCana Corporation was given permission to drill three “exploratory” natural gas wells in the Back Mountain. If this goes the way it has elsewhere, it will have major long term consequences for our good communities. We must educate ourselves and our decision makers. I will be posting information and links. I invite you to learn along with me. I also encourage your comments and submissions. I did not grow up here. I have lived in NEPA since 1974. I was born in Jersey City, NJ. In third grade we moved to the suburbs. My dad was a painter (ladders and scaffolds) for Western Electric who left school in the depression to find work. He drove jeep in the Battle of the Bulge and married my mom soon after the war. They had seven kids. He eventually got his GED and took a supervisory position as the maintenance foreman on the midnight shift. Dad let a worker sleep off a drunk the night the worker received his divorce papers. Dad was demoted back to the scaffolds and never again left them . My mother’s dad wrestled and boxed to make extra money in the Great Depression. Grandma worked in the mills as a young girl and picked up the habit of pinching Red Top snuff into her nose. She sold her pies and wreaths walking through the neighborhoods of the wealthy. I have worked in factories and offices. I have worked for individuals, governmental agencies, and corporations. I live a modest and meaningful life. The life my hard working forebearers wished for me. They were sensible people. A showy home, expensive automobiles, lavish clothes, and eighty dollar wines were all the province of kings and wannabees. It was considered unsavory and aristocratic. Not much use for that mind set. I live in the Frances Slocum State Park area, but have been to Moon Lake many times. Anyplace where people can run, play, hike, swim, camp, learn, bike, and socialize reverberates through life like an endless smile. The gas it will be sacrificed for, will give but a few its’ neon pleasure and leave the rest of us in debt and diminished. As far as the County is concerned, mismanagement begets mismanagement. It is like a lie. The opinions in this blog are mine and mine alone, unless otherwise noted. Thanks for reading! Nice to find out about this site! I live in Bradford Co and am pleased to see someone in your area with such interest in the gas drilling phenomena. What path should each of us take in our life time is one huge Question? We do one thing or another that cause each of to do more than what we thought was required. We all get excited about a new or new used item but then it gets old. When it comes to energy within us we question if that food is any good to consume and it’s benefit for what it’s intended to do for use. The farmers’ milk is regulated by State and Federal. Until they can get undivided and you as a consumer give the farmer a 10 cent or what they need they will keep on using BT, growth hormones, milk hormones or what ever it takes to stay in business. This is what you are up against in everything you consume. 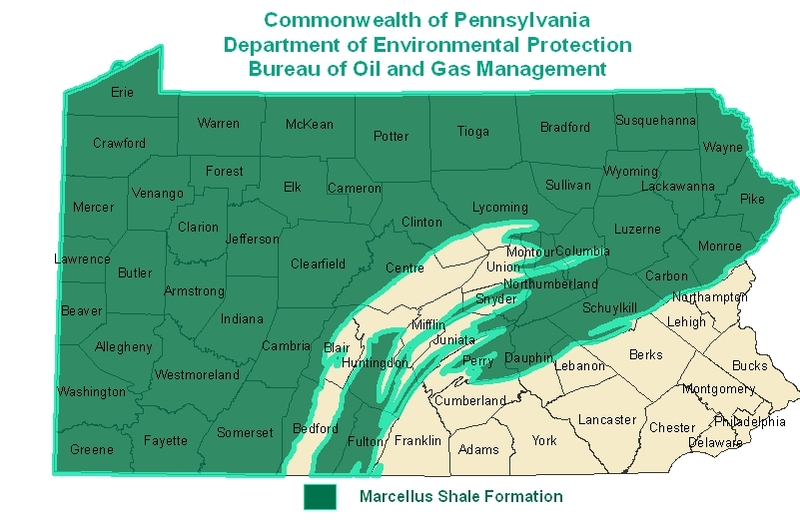 This is just one of many reasons why you need to take a close look at what is going on here at the Marcellus shale. Most people feel or fail to act due to lack of rights. Every one of you has the right to question this. If you think you don’t you need to think why not then you will find that question that needs to be asked. I have a dollar in my pocket and I spend it in the way I like to or need to live but I believe that when I have earned it I have always given more than what I have received. So here again you will see why a moratorium for two years should be put in placed on all natural gas drilling. Who is getting the benefits from the natural gas? What effect will this have on my home base? My home base in this order includes my home, my business or job, my neighbor’s, my town, my county, my state and my nation. As a land owner in a State what are my property rights? I am under the understanding that State backs my landownership through counties that I have ownership of property and guarantees me certain rights before or after new laws are in affect. Evidently my mineral value has increased. If I would find gold on my property would my property tax increase if the right person found out? Knowing that all or almost all of the contracts where written and signed before the knowledge of hydraulic fracturing process was brought up. If I decide not to be party to this drilling and they drill or hydraulic fracture my Gas anyway, what happens to the gross capital from my gas? This gross capital should go into a fund with bank interests, to be divided up among all people or companies entitled to there share if I would later change my mind also I should be able to put it in a will, too. This fund would also be used in civil law suits when a law is broken and be replaced by the loser or both in a tie, but is not to pay any compensation to anyone. By being able to will my gross capitol my fair share will not end up for just anyone to use and the replacement ensures there is a lest some deterrent against those who feel they can do no wrong to each other in a court of law. From the land owner to the governor what is their responsibility? Both owners of property have a responsibility to each other and one may endure a hardship but this hardship is limited. Isn’t it all involved; people and corporations; from the land owner to the governor, acquired the same responsibility and liability in either direction? If something minor to major event happens to the environment, who is responsible? If something minor to major event happens to my live stock, who is responsible? If something minor to major event happens to my pet or pets, who is responsible? If something minor to major event happens to a person or persons, who is responsible? Is the supper fund large enough? If minor do we have enough Community Service programs available? This could spike a few jobs. Do we need bigger jails? There is voluntary and involuntary written in the laws that may put someone in jail. If we do need larger jails who pays this? Then who would do the rehabilitation of these people? Green People would argue, give them a covered wagon, seeds, farm hand tools and let them live off that land. Earth Quake is this going to be called natural in the sense that they broke the rock; the water and gas is loose. We all know this may happen. I dig below frost for a footer knowing that the frost line varies year to year but could exceed the code. Do they say anything about fisher’s large cracks in the earth? Syracuse has one that shows it’s bottomless and how far dose this extend. This pumping makes as much sense as it the city where to use this crack for city run off. Thank you for your letter but the point is not for me alone. I and the people of this state what answers to the questions put before you and are asking you too present this to the governor, the assembly, senate and the Texans for the answers. Where is the path of the migration of the Monarch Butterflies? Are they going to stop for the butterflies? Where is the path of the migration of all mammals? Natures Earth quakes are real; how far apart is these square mile fracking going to end up to be? What comes back out of the ground is the real issue not what we put into it? These Fracking fluids could fracture and dissolve the shale during also, well into the future. What most likely will happen is what they disrupt that is imbedded in shale will be the real danger at the time of fracking and later on. What’s the problem with fracking? The process, which uses millions of gallons of water and unknown chemicals, has been linked to a range of health and environmental problems, including contaminated drinking water in Pennsylvania, a massive fish kill in a creek along the border between Pennsylvania and West Virginia and a chemical spill that killed cows in Shreveport, Louisiana, as the Wall Street Journal has reported. “New York State Comptroller Thomas P. DiNapoli today said the $129.4 billion New York State Common Retirement Fund (Fund) will continue to press energy companies to disclose to their shareholders the environmental and regulatory risks associated with unconventional natural gas extraction including hydraulic fracturing. Do we process the knowledge to make it right? Can a cannery live in the area during the drilling and while the gas is being extracted. Before I sign out one more thing I’m surprise Washington DC hasn’t said one thing to Pa about this Drilling as they are a close neighbor. Are they blind too? Here’s a Thought for the president buy all the patents that has to do with renewable oil and algae and release them to all citizens of our great nation with that get the economy back money but of coarse you can use those patents for your own use you just can’t sell the product or the system just use it for yourself. I want you to know how much I appreciate your comment. I am going to feature it, along with some other links, on my next post if it is okay with you? Thanks! Hey…great job on your website. Have the folks from EnCana been visiting you as frequently as me? How about Chesapeake & Whitmar? I did see one link come through from what appeared to be an internal discussion board at EnCana. Think they’re talking about us?? Please send me an e-mail directly when you can…want to catch up on a few things. As if abusing impoverished Asians through sweat-shop labor practices wasn’t enough, now Nike is exploiting mountaintop removal and dead coal miners. Just do it bro! Nike, like Monsanto, is evil and sinister. Thank you for the link. Please check out the referenced article called FRACKING INSANE at woodstockearth.blogspot.com. Non-commercial website. I’m the writer, but it’s not about me. Please take the time to read it through, as it’s got a lot of info all the way till the end, that maybe even you, who know a lot more than me, might not know yet. Also, I tried to make it understandable for the common person. Two good videos included. It’s not short, but only 6 pages long, as short as I could make it and tell the whole story. Please feel free to use it any way you like, but if you could reference or link to our site, that’s all we ask. Thanks for your time, if you really do read it through.